The Chief Medical Officer has got it more or less right about play deprivation and its effect on children’s health – but are sports centres and vitamins an adequate response? Adrian Voce thinks not. Yesterday’s report by the government’s Chief Medical Officer (CMO), to address the shameful health crisis in UK children, highlights the benefits of free play, the barriers to enjoying it faced by modern children and the good economic sense of investing in the right play environments for school-aged children, specifically adventure playgrounds, as a preventative public health measure. This is all welcome, but the document also betrays a current policy failure, as well as the depressing inability in our national institutions to see the wood for the trees when it comes to providing the right environments and opportunities for children – even when their own evidence clearly shows the way. Dame Sally Davies’ report, Our Children Deserve Better: Prevention Pays recognises the vital role of free play in supporting children’s health and wellbeing on a range of fronts, but bafflingly fails to make a single recommendation as to how to address the acknowledged decline in opportunities for increasing numbers of children to enjoy it. ” ‘time spent in active, free play outside school (running around and playing games) can contribute a significant amount of time to (children’s) physical activity’ ” – Dame Sally Davies, Chief Medical Officer. “For children of primary school age” she says, “time spent in active, free play outside school (running around and playing games) can contribute a significant amount of time to their physical activity rates … (and) may also bring a range of … emotional benefits … enable children and adolescents to widen their friendship groups and participate in their local communities, thereby providing opportunities to develop social skills that help to build positive personal attributes such as self-esteem and self-confidence”. The report goes on to identify that “for the current generation of children in England a number of factors can be seen as contributing to a decline in free play. These include parental as well as children’s own concerns over safety and a lack of appropriate green or urban spaces to play in, combined with a reduced general tolerance towards children playing on the streets”. Case studies include Play England’s Economic Evaluation of Play Provision, and its Street Play initiative which builds on the Playing Out project in Bristol. For play campaigners it is always encouraging to see influential institutions of government identifying not just the importance of play but the obstacles to enjoying it that are faced by so many children, but these benefits and barriers have been widely known for many years. Previous reports by agencies such as NIHCE (the National Institute for Health and Clinical Excellence) and the Department of Health said similar things under the last government. The difference between those earlier documents and this one is that they pointed the way to a specific policy response that led in due course to a national Play Strategy. In spite of now being able to draw on the kind of “cost-benefit” type study beloved of policy wonks, there is no such direction of travel even hinted at here. Bafflingly, in the context of a report highlighting the childhood obesity epidemic, the growth of children’s mental health problems and the important role that play can have in combatting both, the CMO’s recommendation is that “Public Health England should work with local authorities, schools and relevant agencies to build on current efforts to increase participation in physical activity and promote evidence based innovative solutions that lead to improved access to existing sports facilities”. Read that sentence again, slowly. Apart from the inimitable bureaucratic jargon, play advocates will find it dispiriting on a number of levels. It proposes nothing new: simply that agencies should “build on current efforts” to increase “access to existing facilities”. Most depressingly of all, the facilities in question are for sport, not play. There is a suspicion here that certain areas of public policy that could have a huge bearing on children’s health outcomes are off limits. Where, for example, is traffic, the greatest inhibitor of outdoor play according to survey after survey? Car use has increased massively over the last 50 years and the toll on children and young people is high. This is a global problem, with road traffic injuries now the single biggest cause of fatality among 10- to 24-year-olds worldwide. Whilst the death toll in Britain has decreased over recent years, much of the evidence points to this being partly as a result of safer vehicles for passengers, and partly the reduced presence of child pedestrians. In other words, parents are protecting their children from traffic danger by keeping them indoors on the one hand and buying safer vehicles to drive them around on the other. And even where streets are somewhat safer – with the growth of 20mph zones bringing the death and serious injury levels down – this hardly makes them more playable. 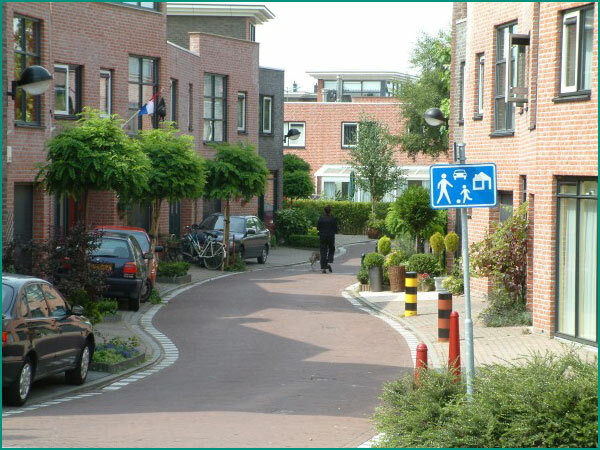 Could playable streetscapes like this ‘woonerf’ in Holland help to improve English children’s health? Where, too, is planning? Tim Gill (whose own response to the report can be read here ) in his valedictory lecture upon leaving the Children’s Play Council in 2004 estimated that for every acre of land dedicated to children’s play, there were 80 acres reserved for golfers. This broke down, he said, to a play space about the size of a kitchen table for every child in England. Since then this may have begun to improve given the successive injections of lottery and treasury cash from 2006-11, but more recently the Coalition Government has torn up a national planning policy framework that had begun to prioritise children’s play and recreational needs as a priority for open space. Now that developers have had such “red-tape” removed in the interests of economic growth, kids will be finding that table is getting even smaller. The CMO’s report mentions none of these things. The impact of policies affecting our public realm, the environment in which children live and grow, is simply ignored as a factor in their health. This failing is exemplified in the part of the report that seems to have attracted most news coverage: the rise of rickets. Its incidence in British children is on the increase, and pills to remedy the vitamin D deficiency that causes it are being recommended for all children. Few would argue that a remedy shown to be effective in other European countries should not be made available here. But just as rickets is caused by a vitamin D deficiency, the body’s inability to synthesise the vitamin is itself just a symptom of a wider problem. Medical experts agree that there is a direct link between the resurgence of this illness and children’s lack of exposure to natural light. In other words children are getting sick because they are not allowed outside often enough to get even the minimum amount of sunlight that their bodies need. In a nation of gardeners, it seems our houseplants fare better than our children in this respect. If rickets were the only serious consequence of the “battery-reared” existence of so many modern children, then maybe vitamin D prescriptions would be an adequate response. But children kept inside to the degree that that their body chemistry doesn’t work properly are almost certainly not getting the range of play opportunities that they need. The report recognises this but seems blinkered to the more obvious solutions. There are many different factors affecting the quality and accessibility – or otherwise – of playable space for children. Economic and spatial planning, the role of the police, traffic management and the design and maintenance of open spaces are just some of the policy areas that affect whether children will want to play in their local neighbourhoods – and whether their parents will be confident to let them. But just because the issue is a complex one doesn’t mean it shouldn’t be tackled. Indeed, the complexity of the problem and the dependent nature of those most affected by it – children, who have next to no market power – mark it out as an area calling for a strategic government response. Adventure playgrounds like this one have been evaluated for their health benefits in economic terms. The Labour government’s Play Strategy, launched in the Spring of 2008, set out a 10 year plan to address this problem in all its complexity and to make England a place where children everywhere would again have the freedom to play that they so clearly need. Over the only year that data was collected, 2009-10, a new National Indicator introduced by the Play Strategy, measuring children’s levels of satisfaction with their local play opportunities, increased by almost 8 per cent. Had the evaluation continued, linking with the economic evaluation commissioned by Play England (referred to now by this report) it would have provided an even clearer picture of how this increased enjoyment translated into health and well-being benefits for children and economic ones for the state. We need to reinvigorate the “shared-space” approach to traffic management in residential streets and other measures; not just to reduce car speeds, but to explore alternatives to the bumper-to-bumper parking that is a barrier to street play every bit as inhibiting as moving vehicles. Along with an evaluation of the Street Play initiative, the Department of Transport and Public Health England should be tasked with a major study of street design schemes in residential neighbourhoods, so that a clear appraisal can be made of how planning decisions and traffic management can support children’s freedom to play out rather than present barriers to it that projects like Playing Out have to overcome. The prematurely terminated evaluation of the thirty new adventure playgrounds built under the last government’s Play Strategy Pathfinder programme should be resurrected and completed as a prelude to an injection of much needed capital and revenue funding into this vital but profoundly struggling network. 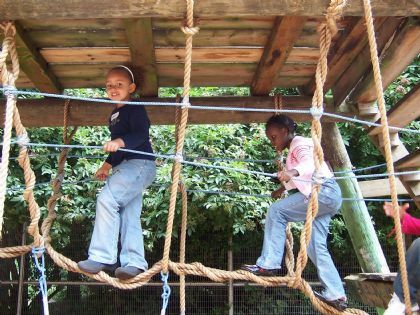 For many children in built up urban and deprived suburban environments, the local adventure playground is the only space they have that can offer them the enriched play environment they need. This report acknowledges their value, not just to children’s play lives but to their health – and the associated economic sense of therefore investing in them – and yet, even including what are still remaining from the pathfinder playgrounds, there are probably fewer across England today than at any time since the 60s. Finally, and following on from growing the number of adventure playgrounds in deprived areas, there should an investment in training for playworkers, who are the key to ensuring that space dedicated to compensating for children’s lack of open space for free play, does just that. Playwork has proved its worth through a series of public programmes, from the Children’s Fund, through the Big Lottery Fund’s Children’s Play Initiative and the national Play Strategy. A study by Demos, published by Play England in 2010 highlighted their value not just to making space available for all children to play but in creating the social and emotional space for children to grow and thrive. But the impact of austerity measures means that playwork is in decline. The cross-cutting, government-led approach that Labour pioneered, which included measures similar to these and many more, is now implicitly endorsed by the United Nations Commission for Children’s Rights, whose General Comment on Article 31 of the Convention on the Rights of the Child makes it clear that states parties have a responsibility to enact appropriate legislation, undertake the necessary planning and allocate adequate budgets to provide for play for all children. This government may never produce a play strategy, but if it reads the report of its Chief Medical Officer properly, surely it will see that more is needed than sports centres and vitamin pills. Yes, our children do deserve better. It has been announced that the city of Odense in Denmark will host the 7th Child in the City International Conference and Trade Show at the University of Southern Denmark from 29 September – 1 October 2014. 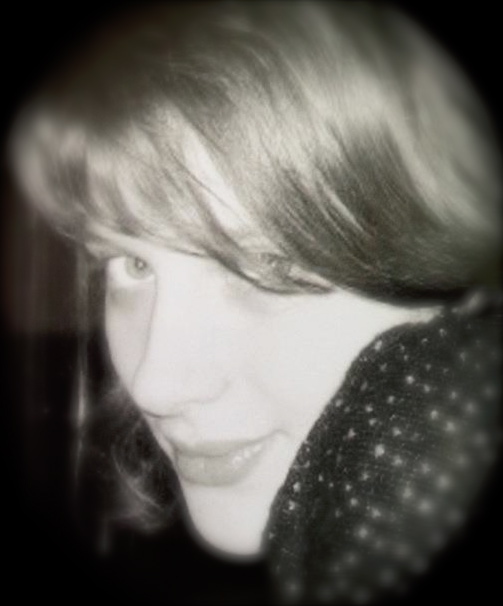 The European Network for Child Friendly Cities (ENCFC), which organises the bi-annual event, says the conference “will disseminate good practice, share experiences, test new ideas and explore new approaches to developing towns and cities that are the best possible places for children and young people to live, play, learn and grow”. The three broad themes for the 2014 conference will be participation, inclusion and cooperation; child wellbeing and the impacts of recession; and, following on from the UN’s General Comment earlier this year, play, mobility and children’s culture. The host city, Odense is a strong supporter of the Child Friendly City movement having adopted in 2009 its own vision for a city where “to play is to live”. The city council has a programme of policies with a strong focus on creating urban environments that invite and support children to use public space to play and learn within inclusive and welcoming settings. 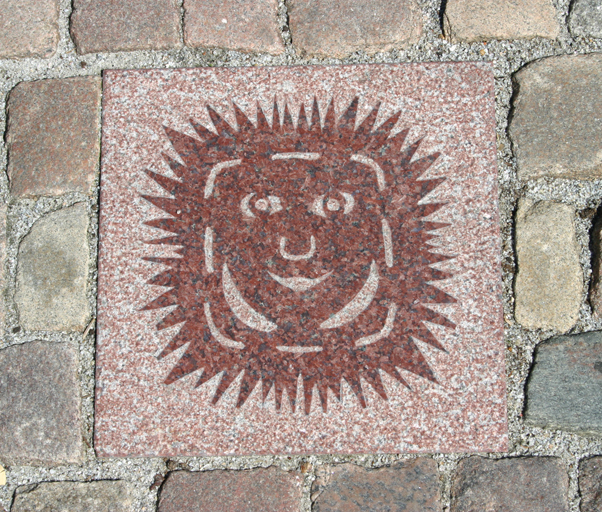 A street stone on the Odense “play route”. Odense’s vision is typified by its most recent initiative: an exciting Play Route along the Odense River through the City Centre (see separate item below). The route is the first of its kind in the world, and the city authorities intend for it to be a very public demonstration that “to play is to live”, making the concept of the playable public realm a reality not just for city dwellers but for visitors and tourists too. The department of the University of Southern Denmark that will physically host the conference is the Institute of Sports Science and Clinical Biomechanics (ISSCB), which specialises in play research.